Pesach always comes along with a lot of family time. This year, prepare for this time and make the most of it! 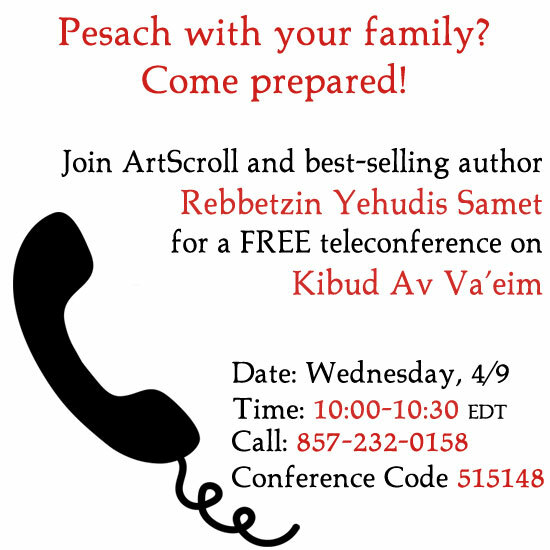 Join Rebbetzin Yehudis Samet, author of My Father, My Mother and Me, for a free teleconference on the topic of Kibud Av Ve’eim! Please spread the word about this valuable resource so your friends and family can join too! When: Wednesday, April 9th from 10:00 – 10:30 am eastern time. Call 857-232-0158 and use conference code 515148.